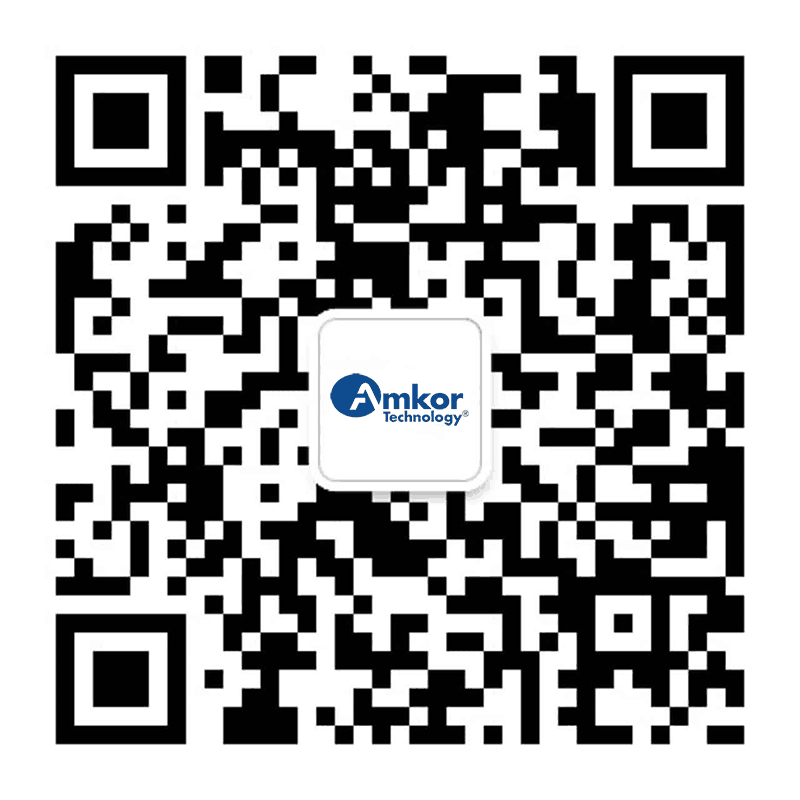 Follow Amkor Technology on WeChat! Receive updates on the latest product and corporate news, upcoming tradeshows and conferences Amkor will be attending, shuttle bus information for Amkor Technology China (ATC), and recruitment and career opportunities. Have a question or comment? 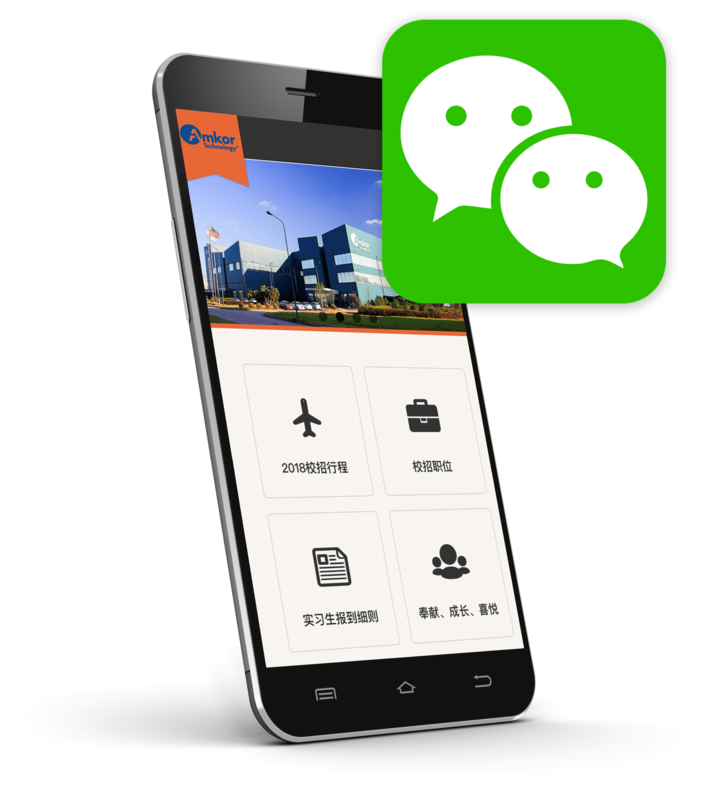 Conveniently request additional information from Amkor’s Greater China sales team or provide feedback to Amkor management directly through WeChat. To follow us on WeChat, scan the QR code with your phone or search for Amkor’s WeChat ID: Amkorsh.